On Your Feet! 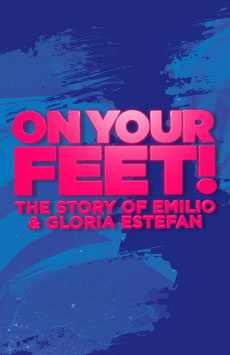 is the story of Emilio and Gloria Estefan, two people who believed in their talent, their music and each other, and became an international sensation. Get ready to get on your feet, and dance to the smash hits “Rhythm Is Gonna Get You,” “1-2-3,” “Live For Loving You,” “Conga,” and many more.